Executive coaching is a forward-moving, solutions-focused process that is collaboratively created by the coach and the client (individual or team) to explore the necessary conditions for learning, change and growth and achieve desired outcomes. Today’s workplace is more dynamic, complex and competitive than ever before. Therefore business leaders at all levels (Board of Directors, C-Suite Executives, Human Resources, Directors and Managers) need more sophisticated and adaptive human capital solutions, to help them deliver on their vision and achieve organisational objectives sustainably. Executive & Organisational Coaching is such a solution. We believe that, since each person and each organisation is unique, coaching programs should be tailored to specific needs. At ProVeritas Group, we have the necessary depth and breadth of knowledge, experience and qualifications in Business, Psychology, Leadership/Management, Coaching and Science to provide programs that deliver the right results. Studies show that Executive/Organisational Coaching is becoming a pivotal component of best-practice Learning & Development Programs in Australia and globally. 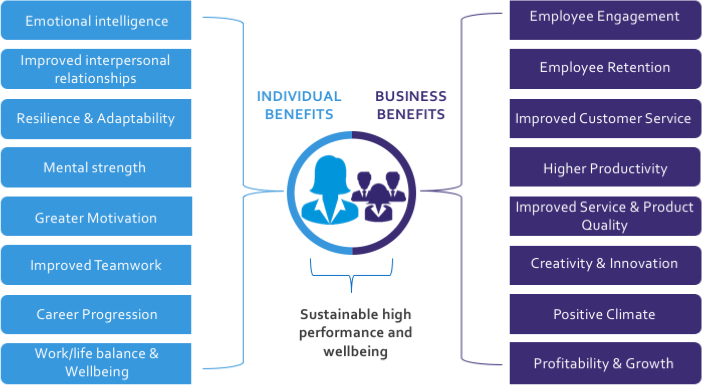 In addition, the return on investment (ROI) for individuals and organisations has been well established by many organisations when linking the investment to specific needs and hence, benefits (some given below). Coaching is a forward-moving, solutions-focused process or endeavour that is collaboratively created by the coach and the client (an individual or a team). During this process, often called “the coaching space”, we explore the necessary conditions for learning, growth, change and ultimately, the achievement of outcomes based on the needs of the client being coached. As a goals-focussed endeavour, coaching provides the ideal support to leaders and organisations seeking to achieve Key Performance Indicators (KPIs) or any other type of performance management approach. Interestingly, coaching has become the ideal framework for progressive organisations which have phased out traditional performance management systems and have instead implemented a more collaborative approach. The coach stands with the client, helps clarify the situation and together transform challenges into victories, always holding the client accountable for the achievement of agreed goals. NOTE: In Australia, coaching within the workplace context is generally known as Executive & Organisational Coaching (Australian Standard HB 332-2011 Coaching in Organisations). We acknowledge the use of the term Business Coaching in other parts of the world. Which Executive Coaching Program Will Help? At ProVeritas Group, we view individuals, teams and organisations from a systems-thinking, and therefore, a holistic perspective. An individual is unique by virtue of the interrelatedness of the parts of his/her system, which come together in a particular time and context (eg, marketplace or organisational reality, geography, or family setting). 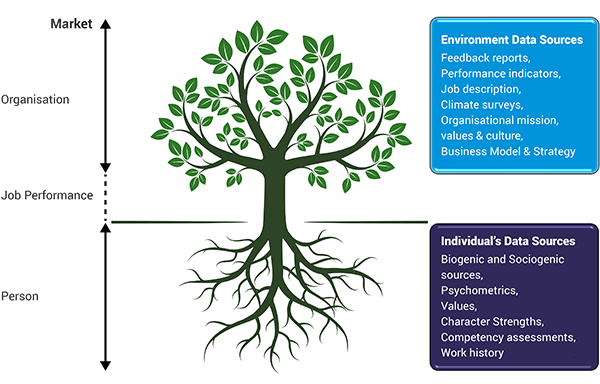 To better understand the interrelatedness of these parts, or factors, and their impact on the individual’s behaviour, using a tree analogy might be helpful. Just like a tree stands above the surface and has roots that influence it in ways unseen, so too a person carries roots below the surface which influences everything he or she does in unseen ways. It is therefore essential for the coaching process to begin with sensitive enquiry into the client’s history to access the less visible aspects of the individual’s story. In a co-created coaching space by the client and the coach, the coach helps the client understand how the influences above and below the surface interact and provides the support during the learning, transformation and growth of the individual or team. As such, ProVeritas Group follow an integrative and eclectic approach to coaching, which is widely viewed as the most desirable in Executive & Organisational Coaching because it allows for the strongest application of viability in any intervention where the primary objective is enhancing performance in the workplace. The coaching process is not linear - it is iterative and highly fluid – however it may be conceptualised by referring to the following diagram in which the coach draws from several theories to drive the coaching process over a number of sessions (one-on-one for individuals and group sessions for teams). Initially, the client is invited to discuss their needs with one of our coaches in an exploratory meeting. This will inform the program selection (high performance, leadership, team, career, or combination) and the duration. We encourage transparency wherever possible hence, it is advisable to have (at least) an initial and a final 4-way meeting between the employee, his/her manager, HR and the coach to agree on desired outcomes upfront, ensure organisational support is provided, and discuss progress. Therefore, details of agreed goals, reporting, communication, confidentiality, responsibilities and any other commitment made by relevant parties are captured in a Coaching Agreement, according to the professional standards of the Worldwide Association of Business Coaches and guidelines in the Australian Standards Handbook of Coaching in Organisations HB-332 2011. Applied psychology: strengths-based coaching, mindfulness, ACT, psychology of optimal performance and other coaching & positive psychology concepts. What is the Investment (Time & Cost)? Coaching provides the executive with a unique journey of self-discovery, affirmation, learning and growth in a safe and uplifting working alliance. However, the process of learning, changing and growing takes time, effort and commitment from the individual (and the sponsoring organisation, if applicable). Studies show that executives are more likely to experience a change in mindset, learn, build new habits, be transformed and grow when they are part of a systematic action learning environment for 12-24 months, as is the case in executive coaching. Therefore, our programs are aligned with best practice and consist of a minimum of 12-sessions for optimal behavioural change and hence, goal achievement. In fact, it is not uncommon for senior executives to return to coaching when faced with major changes in their careers or life in general. Our coaching sessions are approximately 1.5 hours in duration and are held at our offices, providing a professional, empathetic and confidential environment which supports the development of a positive and trustworthy working alliance between the client and the coach. At times, additional training (e.g. workshops, courses) will be recommended as part of a complete learning & development solution. ProVeritas Group can be engaged to provide supplemental training or to facilitate sourcing of appropriate service providers. To obtain an initial cost estimate, please complete the enquiry form on the Contact Us page and we will contact you for a conversation about your specific needs and provide you with an indicative quote.